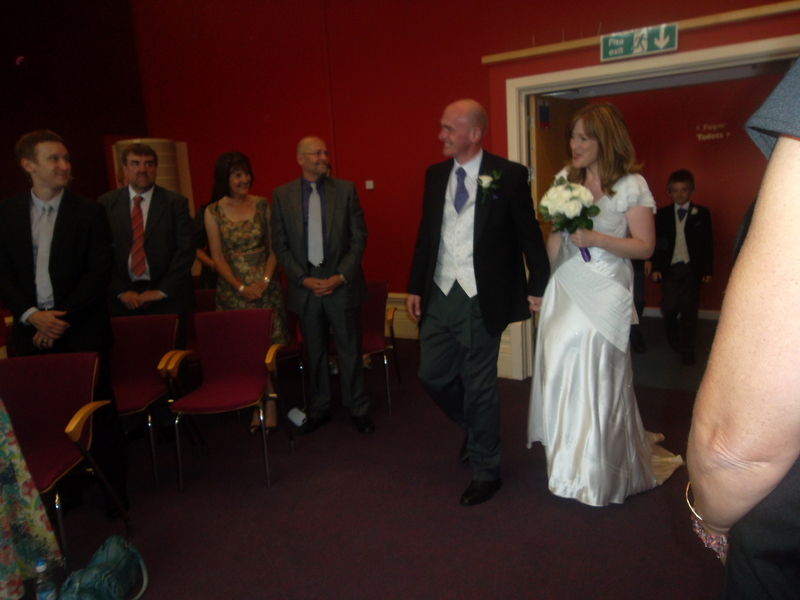 just yesterday i was sitting in Loughborough town hall watching my auntie Damienne getting married to Steve (now my uncle)!the last time i was at a wedding i was 7 and found it the most boring thing ever. But yesterday at 18 years old i see this isn’t true. The service was beautifull and dare i admit i nearly cried with happiness.The whole day was wonderfull, bride and groom walked in together to here comes the sun by the beatles as family and friend were gathered around for this special moment. I leave you one question from this post and that is :what song have you/ will you be walking int to?